The new version 3.2.3 of ApPHP EasyInstaller is available for downloading. 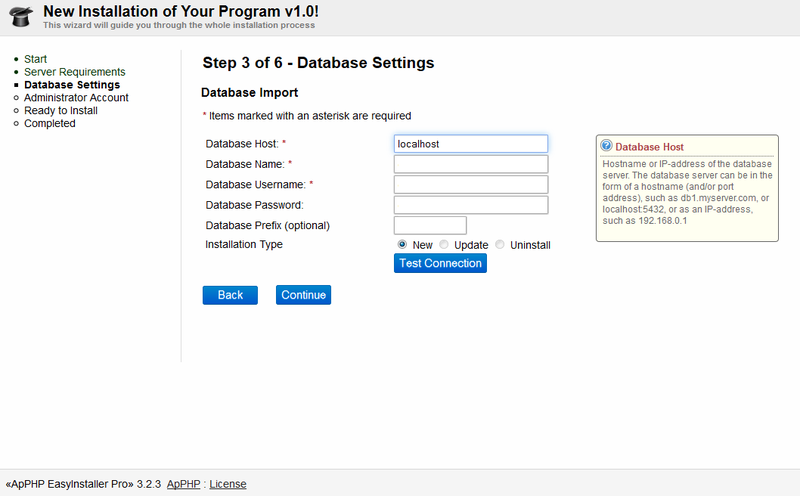 ApPHP EasyInstaller is an easy-to-setup PHP script for creating a user-friendly installation wizard. 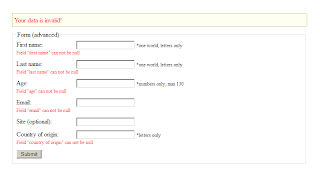 The script is suitable for existing and new web applications. If you're planning to create an application in PHP and search for a small, customizable and powerful installation module, then ApPHP EasyInstaller is the best solution for you. This Installer uses a simple wizard-driven interface (a form containing questions and a "Next Step"/"Continue" buttons) and will allow anyone without any programming knowledge to easily install cgi or php scripts on any server with just a few mouse clicks! The new version 2.0.3 of of ApPHP DataValidator has been released and available now for downloading. Feature: [added] method SetCanBeNullFlag($canBeNullFlag) is deprecated. Use IsRequired($requiredFlag) instead. Feature: [improved] version check is made compatible with version higher then checked. We all know that there are a lot of PHP Blog scripts, and it is very difficult to choose the blog you want. 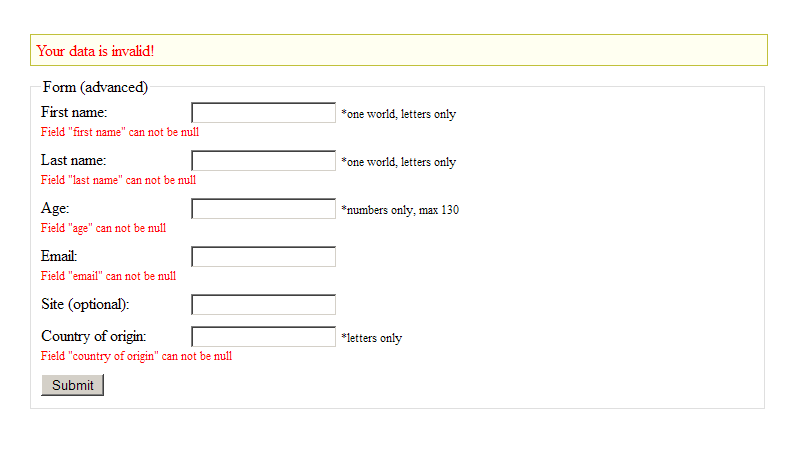 So I decided to pick 5 PHP Blog scripts and provide brief information about them. At the end of this post you can see a short comparison table, so you can check the prices, functionality and other features. In the end of this post you can see a short comparison table, so you can check the prices, functionality and other features. 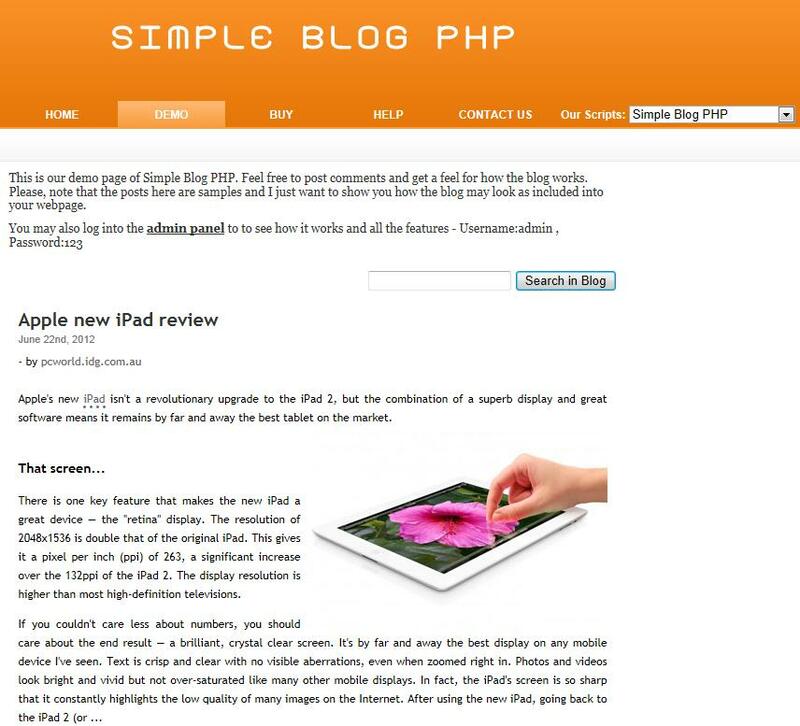 Simple Blog PHP script provides easy installation into your existing website design.Your website visitors can read your post and leave comments in it.Any publication of a new comment is spam protected using captcha verification.Administrators have their own password protected page, where they can create, edit or delete their posts. 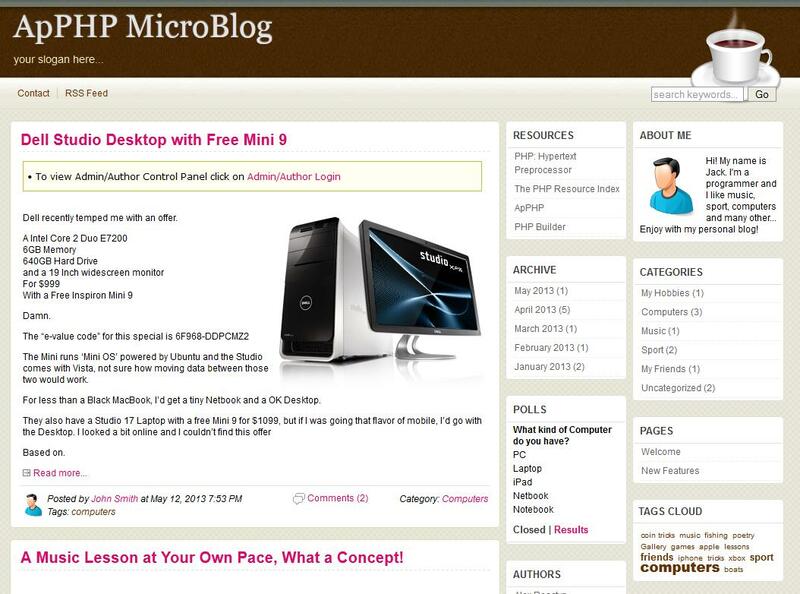 ApPHP MicroBlog is very simple and powerful PHP blog software. This product enables you to start your own blog within minutes. You can easy add and manage your own posts and posting categories.This script is perfect for web designers and developers. The script is very flexible, it written in object-oriented style and allows web developers easy change it to suit their needs. 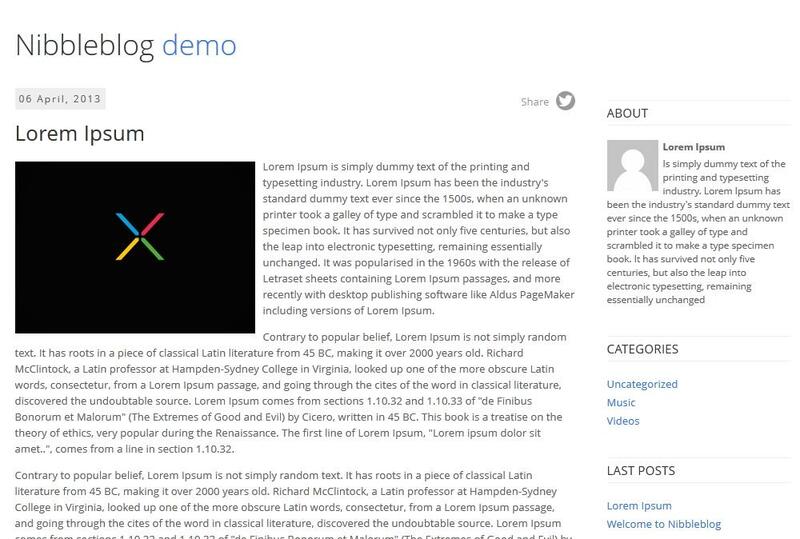 Nibbleblog is a powerful engine for creation and manipulation of BLOG's completely free. It is an Open Source PHP Blog project. Very simple to install and comfigure(Only one step). 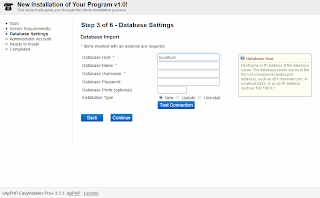 The database used is based on XML files and this way it is not necessary to use MySQL or similar DBMS. 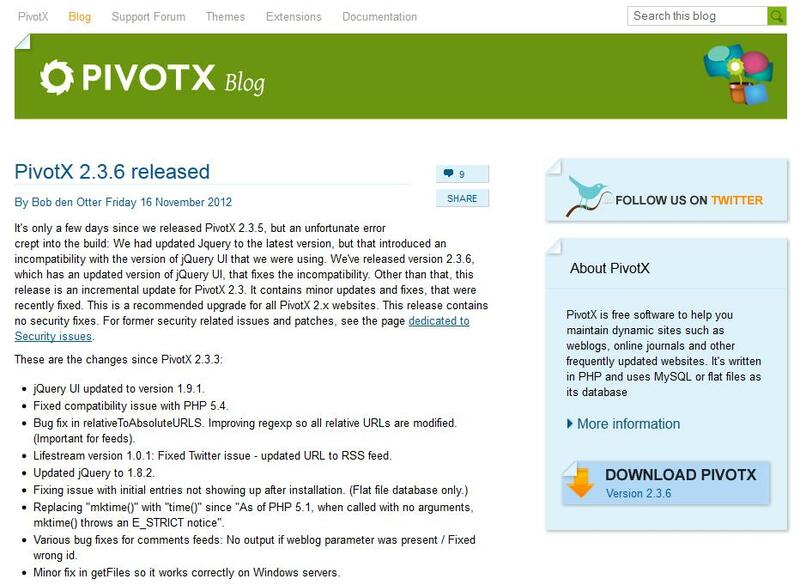 PivotX is a CMS script that can work as a simple blog as well. With lots of extensions, themes, modules and features, this is one of the best tools out there for easy site building, management and blogging. It's built with other famous tools like jQuery, Smarty, TinyMCE, PHP and MySQL. 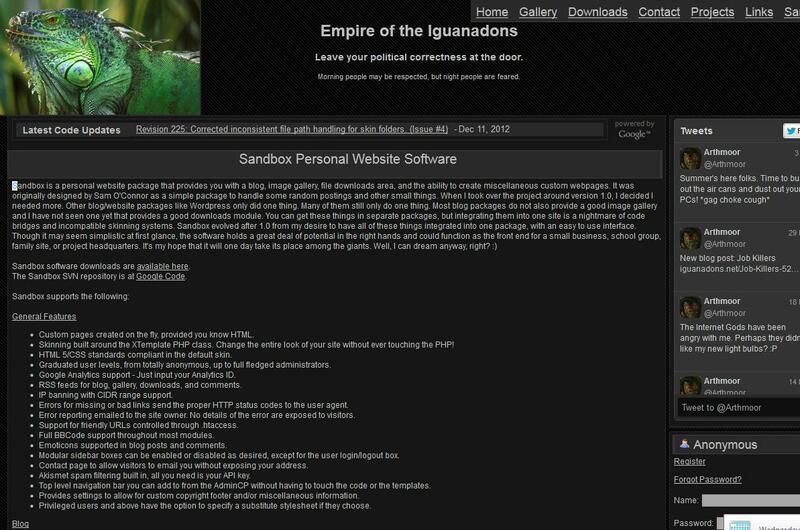 Sandbox is a personal website package that provides you with a blog, image gallery, etc'. Sandbox was originally designed by Sam O'Connor as a simple package to handle some random postings and other small things. Most blog packages do not also provide a good image gallery and I have not seen one yet that provides a good downloads module. Well, I hope this information will help you to choose the right blog for you.